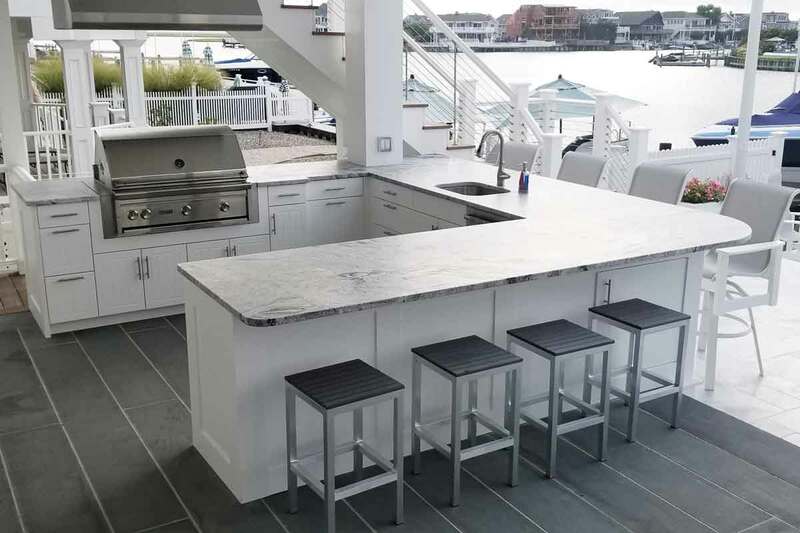 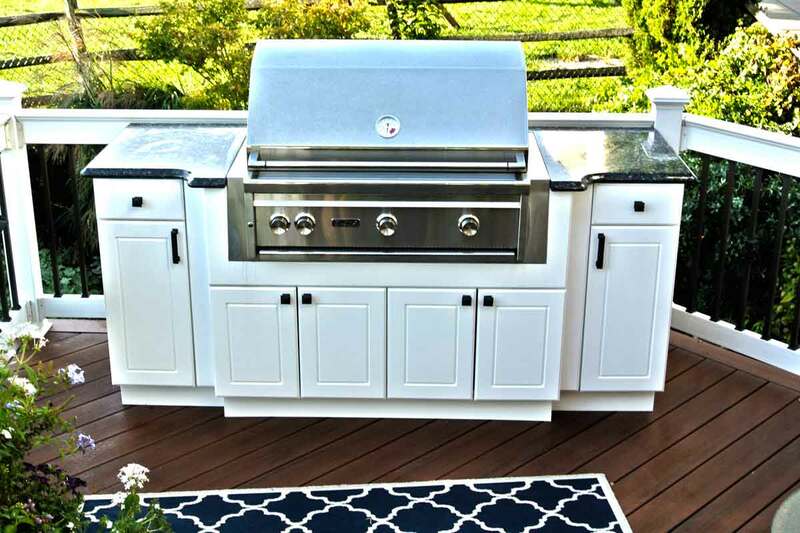 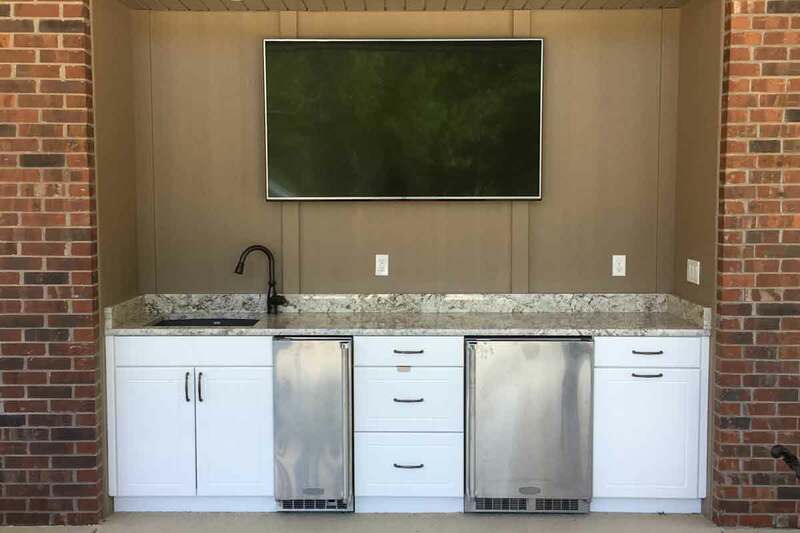 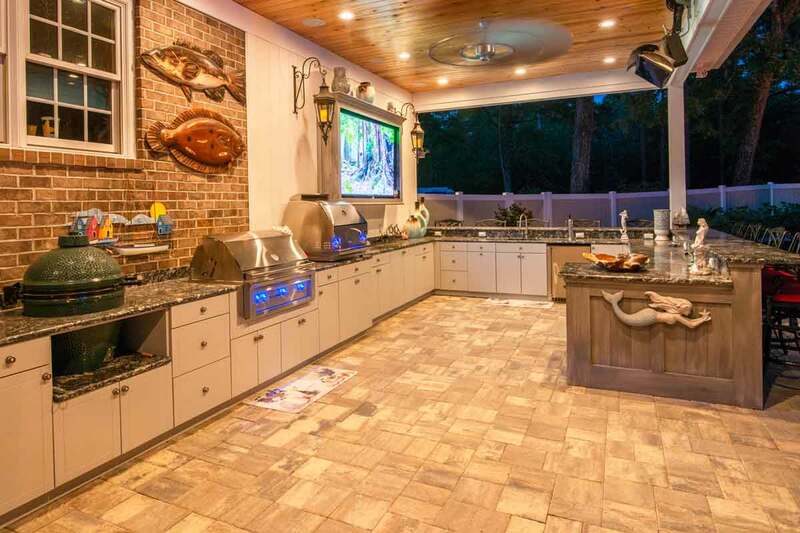 When planning an outdoor kitchen, sometimes all you need is a grilling island on your deck or patio, and this is exactly what this client in Pennsylvania wanted for their space. 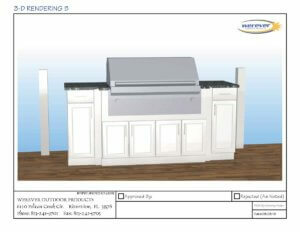 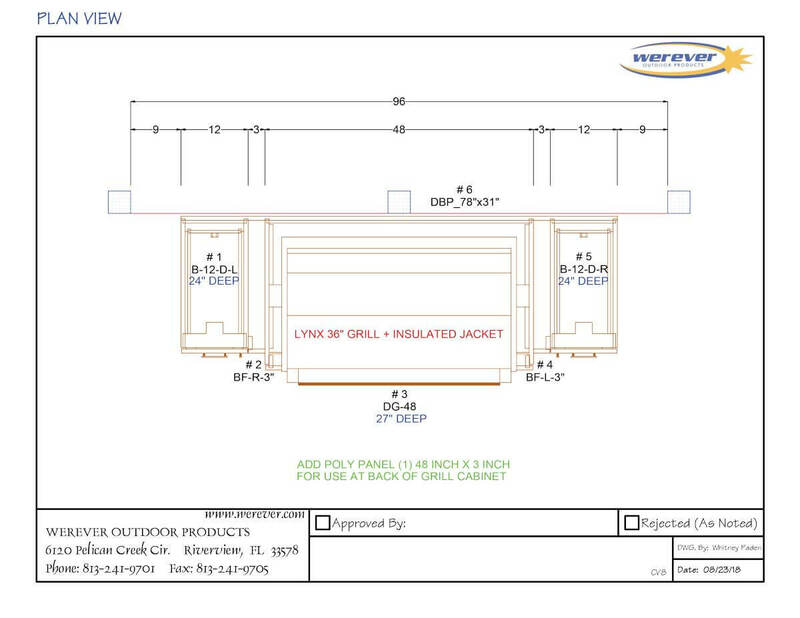 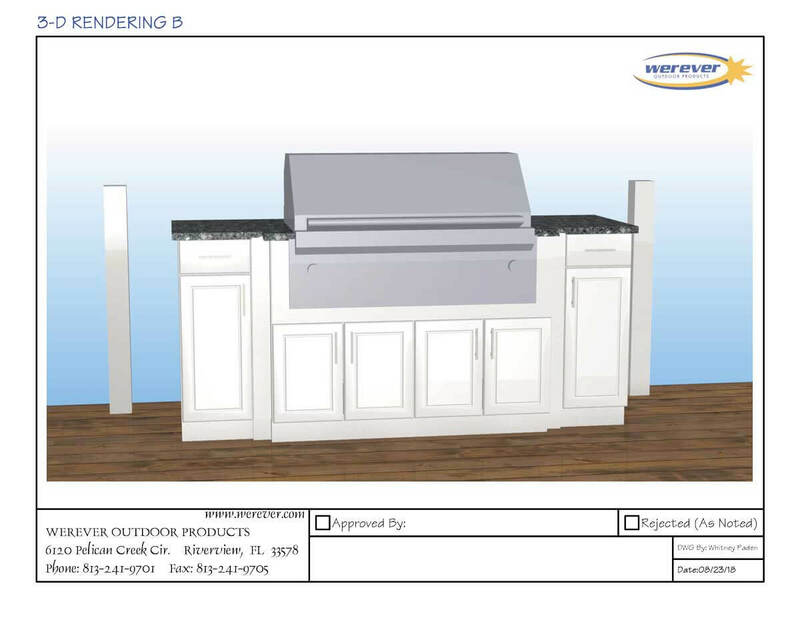 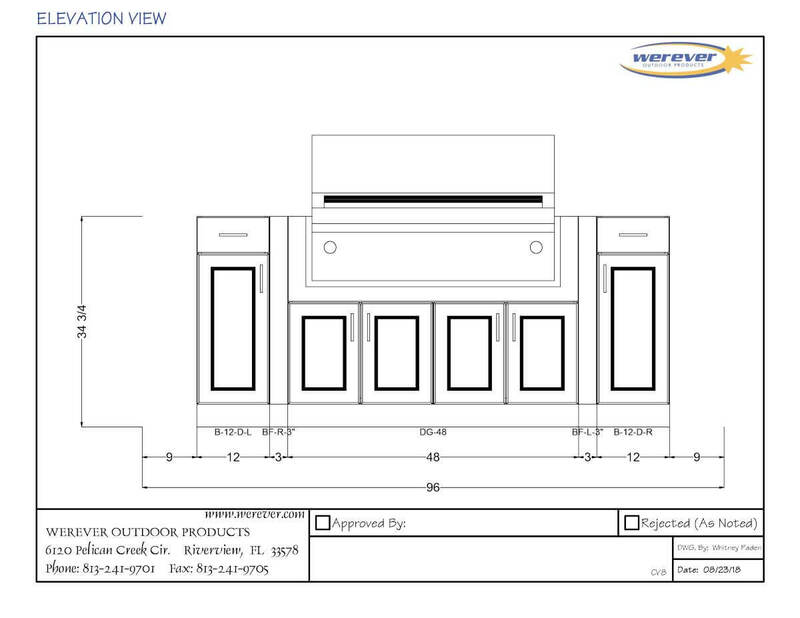 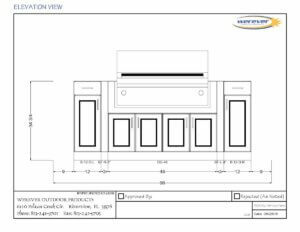 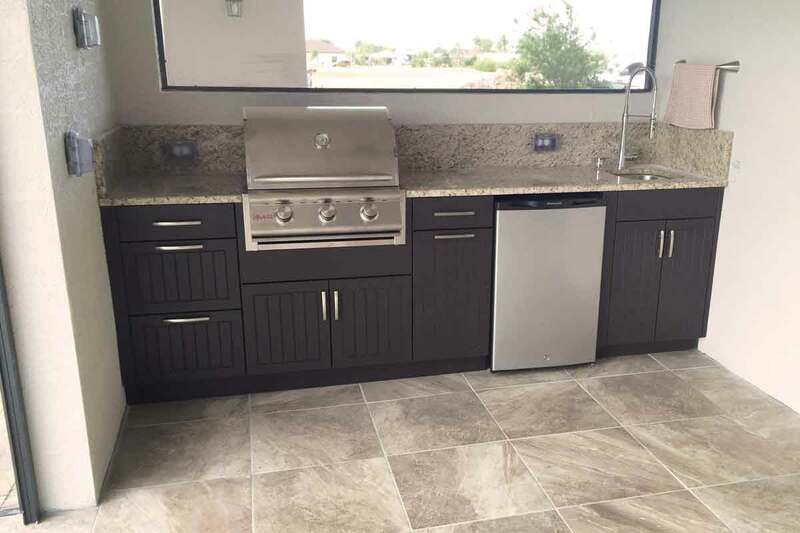 A 36” Lynx Professional Grill is featured on center built-in a Werever Grill Cabinet, with door and drawer storage left and right. 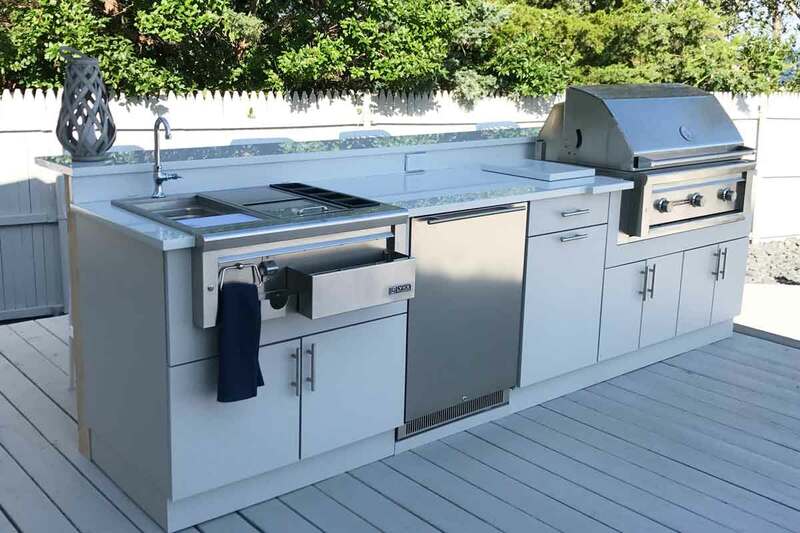 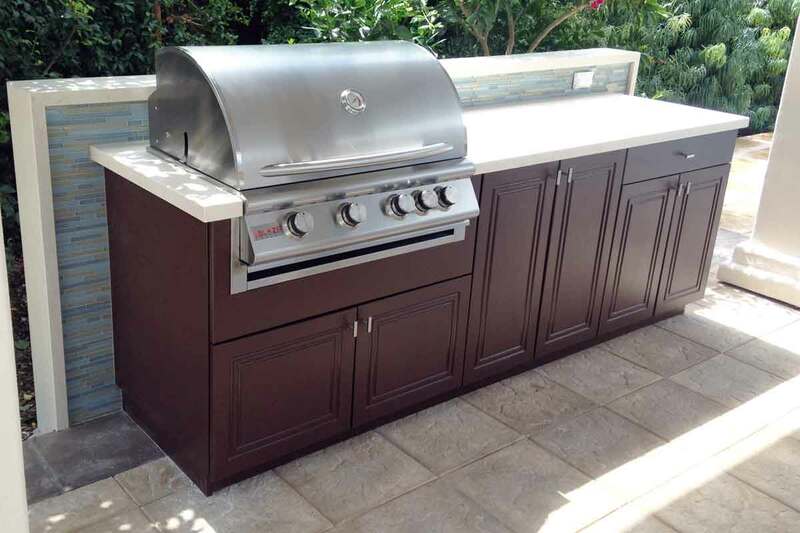 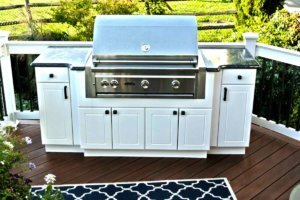 The side outdoor cabinets offer top drawers for convenient utensil storage, and countertop space on each side provides a place to rest your platter and utensils when grilling.